Teacher interaction skills are crucial in enhancing teachers' effectiveness in developing quality teacher–student interactions in the classrooms. Building on the existing literature on social skills, teacher–student relationships, and teacher interpersonal behaviors, this study conceptualized a teacher interaction skills framework that highlights the importance of teacher interaction skills in the classroom. Using this framework, a teacher interaction skills scale (TISS) was developed to measure teacher interaction skills in building relationships with their students. 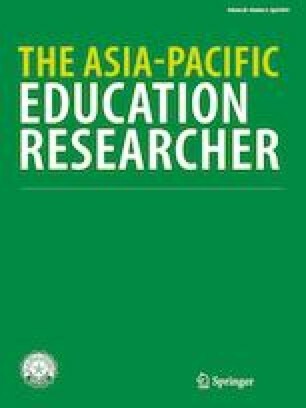 The purpose of this study was to examine the psychometric properties of the TISS designed to assess teacher interaction skills among 395 school teachers in Singapore. The subscales and composite scales evidenced satisfactory reliability and validity. Findings based on the nomological network of teacher interaction skills showed that TISS accounted for key outcomes in terms of teachers' job satisfaction, professional commitment, and teacher–student interaction. This study contributes to the literature of teacher–student interactions by developing a teacher interaction skills framework and an instrument which has important theoretical and practical implications for researchers, administrators, and practitioners. The online version of this article ( https://doi.org/10.1007/s40299-019-00444-6) contains supplementary material, which is available to authorized users.